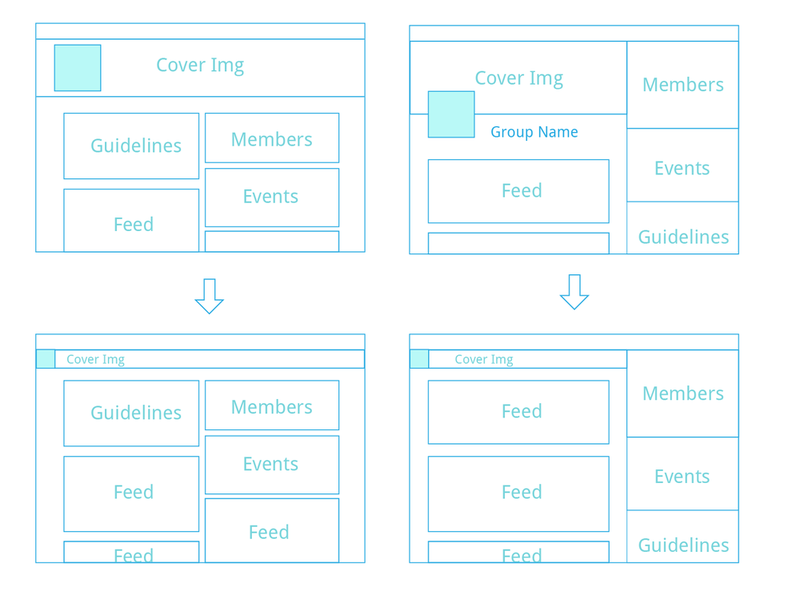 The ideal experience communities in Yammer is not provided from the current Groups experience. We have positioned Yammer as a tool to serve Outer Loop user cases, and we have prioritized Executive Engagement and Communities as the two most important of those outer loop use cases. The vision we have for Communities in Yammer is potentially different enough from our current group construct that we think it is necessary to at least think through the idea of introducing a new destination in Yammer for Communities. Provide a holistic, differentiated experience of a community in Yammer more quickly than is possible by retrofitting groups. Include a community statistics module? Move the info section out into a module above the feed? Provide a sense of place within the community? We utilized the Google What Ifs Framework to begin the brainstorming. To innovate and push ideas forwards, being aligned on a design vision helps give focus and direction, it makes sure you are aiming for something with a purpose. What if community management was effortless? What if communities could support and foster meetups that helped bring members closer? What if community leaders could effectively set the rules of conduct in the community? What if community leaders could exemplify behavior? What if people could easily know if a community is worth their time? What if people could articulate and express themselves effectively? What if communities could facilitate rituals that created greater sense of community? 23 people representing 13 of our Polaris customers joined us for 3 packed days and 2 evenings of sessions and activities. The event was well attended by our teams OneDrive, SharePoint, Yammer, Bing, PowerApps, Flow, Office 365 Branding, Outlook, and SOX. Yammer hosted a vibrant discussion and co-designing session around Yammer integration into Community sites. - Customers are excited about this tool!